​Senior Women Academic Administrators of Canada is pleased to offer mentorship opportunities for members. We are pleased to introduce esteemed emeritus SWAAC members who have generously offered to share their diverse experiences within their select areas of expertise. We invite members to review the bios and contact a mentor when a need arises. All conversations are confidential. Dr. Sheila Brown has had an extensive career as an educational leader and is currently an educational consultant. She is President Emerita of Mount Saint Vincent University. She has served at four Canadian Universities and held positions as Department Chair, Dean, Vice-President Academic and President. An Honours graduate of Cambridge University, she also holds an MA and PhD from the University of Alberta. She is currently Vice-Chair of the Maritime Provinces Higher Education Commission and a member of its Quality Assurance Committee. She has been recognised for her work with several awards, including The Queen’s Golden Jubilee Medal and was, in 2005, one of the first four inductees into the Atlantic Business Top 50 CEOs Hall of Fame. Educational consultant focusing on leadership development, coaching and mentoring of academic and academic support administrators, as well as assisting post-secondary institutions and associations with strategic planning, curriculum review, change leadership, organizational structure and functioning, and conflict management. ​Dr. Sheila Embleton is Distinguished Research Professor of Linguistics, York University, and Fellow of the Royal Society of Canada (currently Secretary). She was VP Academic & Provost (2000-2009) and Associate Dean of Arts (1994-2000), Chair of the Ontario Council of Academic VPs (2004-2008) and the National VPs Academic Council (2006-2007). Her background is mathematics (BSc, MSc, U of Toronto) and linguistics (PhD, U of Toronto); her scholarly interests are historical linguistics, sociolinguistics, dialectology, mathematical/statistical methods in linguistics, onomastics, and women and language. She is deeply interested in policy and practical issues in contemporary post-secondary education, both in Canada and internationally, and a tireless advocate for both internationalization and access in higher education, based on merit rather than social, financial, or geographical factors. She is President or Past-President of many Canadian, US, and international academic organizations. She is a Board member at the Fields Institute for Research in Mathematical Sciences (formerly Chair) and the Ontario Geographical Names Board (Chair), and formerly MITACS, Mprime Networks, Canadian Bureau for International Education, and TOEFL. She has won awards for her academic contributions, including the Queen’s Diamond Jubilee Medal, and is Knight First Class of the Order of the White Rose of Finland (for promoting academic/cultural ties with Finland) and Invited Member of the Finnish Literature Society. She has been external assessor at many universities, Romanian Research Assessment Exercise and German Excellence Initiative. She promotes academic relations between Canada and India, representing York at the Shastri Indo-Canadian Institute (2001-), was Shastri’s Vice-President/President (2008-2010), and led York’s initial India Strategy; she conceived, established, and obtained funding for the Ontario-Maharashtra-Goa exchange, and advised on the academic portions of India visits by several premiers and PM Harper. 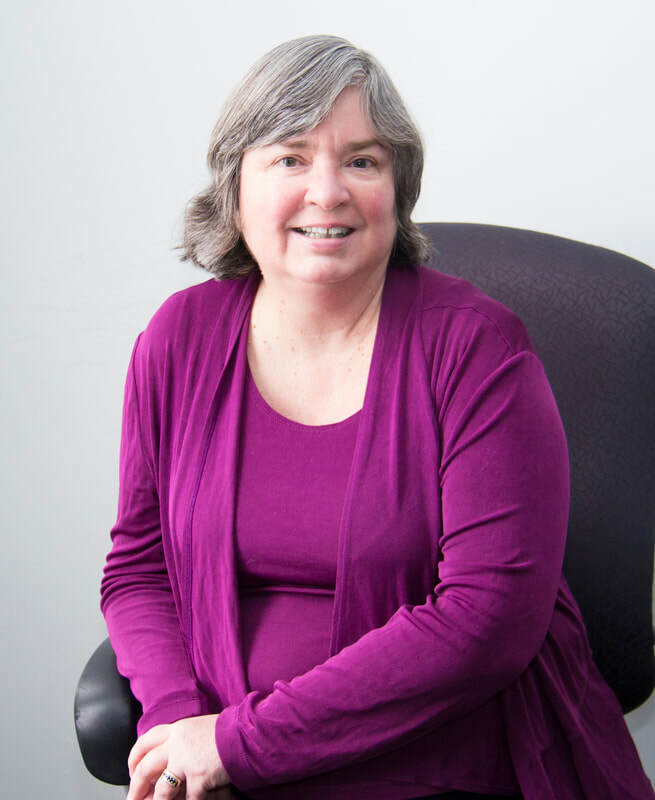 Dr. Karen Grant served in senior administrative roles for more than 20 years, first at the University of Manitoba and then at Mount Allison University. At the University of Manitoba, she was an Associate Dean (Research) for 8½ years, and then the Vice-Provost (Academic Affairs) for 9 years. These two positions involved significant efforts related to professional development, faculty and leadership development, program development, and human resource management. In 2012, Karen moved to Mount Allison University where she served as Provost and Vice-President, Academic and Research. In this role, she was responsible for all matters related to the people at the university (in particular, faculty and students), program development, delivery and quality assessment, and compliance with respect to research and regulatory systems at the local and national level. Karen has extensive knowledge and experience in university governance, labour relations, professional development, program development and administration, as well as intergovernmental affairs and philanthropy. Karen’s experience in research and university administration led to appointments to several national boards and committees including the Canadian Federation for the Humanities and Social Sciences, the Canadian Research Knowledge Network, Canadiana.org, the Social Sciences and Humanities Research Council (she is newly re-appointed to the council as 2018), Health Canada’s Science Advisory Board. She currently serves on the board of Riverview Health Centre in Winnipeg. Angela Hildyard is the Special Advisor to the President and the Provost at the University of Toronto. Professor Hildyard held the position of Vice-President, Human Resources & Equity at the University of Toronto from 2001 to 2016. As Vice-President, Professor Hildyard was responsible for salary and benefits negotiations for Faculty and for the negotiation and implementation of all terms and conditions of employment for over 16,000 non academic employees (represented by 23 Unions and 4 Staff Associations). In addition, Professor Hildyard was accountable to the University Community and the Board of Governors for policies and programs pertaining to equity, diversity and inclusion. Prior to her role as Vice-President, Professor Hildyard was the Principal of Woodsworth College, U of T, (1998-2001) and an Associate Dean and Dean of the Ontario Institute for Studies in Education (1987-96). She is a Full Professor in the Department of Leadership, Higher and Adult Education at OISE, and has taught and supervised graduate students throughout her career. She has been a mentor to many members of the U of T community – graduate students, staff, faculty and senior administrators - and has received recognition from the University for her contributions as a mentor. 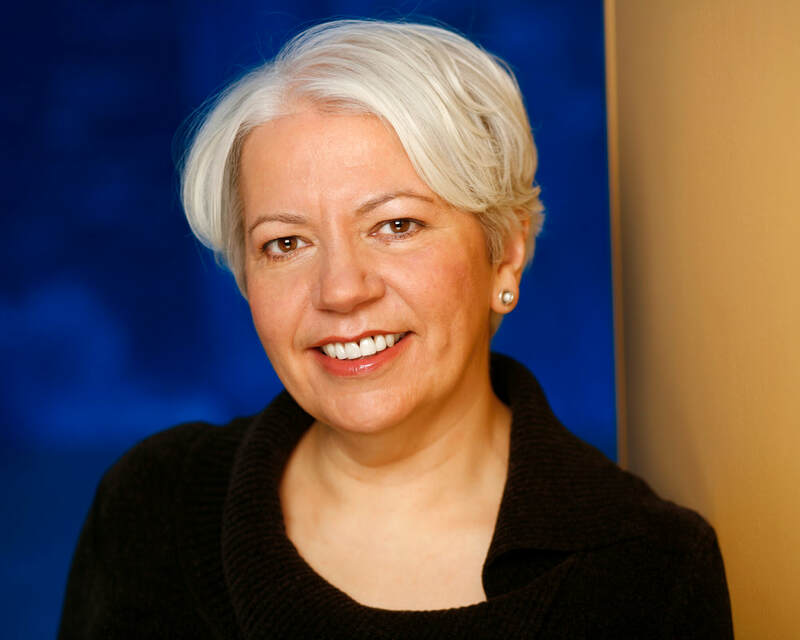 Madeleine Lefebvre has recently been named Chief Librarian Emerita of Ryerson University, having served as Chief Librarian 2007-2017. Previously she was Saint Mary’s University Librarian in Halifax and prior to that, she led Mount Royal College Library in Calgary. She has over forty years of leadership experience in unionized academic libraries. She is currently on the Board of Trustees of OCLC inc, a global library cooperative. In 2017 she received Ryerson University’s prestigious Errol Aspevig Award for Outstanding Academic Leadership. She was a key participant in the development of Ryerson’s award-winning Student Learning Centre, and counts library space planning as one of her areas of expertise. She is a frequent speaker and writer on a wide range of topics, most recently on positioning the library within the academy. She considers mentoring one of the most rewarding aspects of her long career. She is particularly focused on supporting librarians to develop confidence and expertise in their academic administrative skills. Madeleine is a Fellow of the Chartered Institute of Library and Information Professionals and an Associate of the Australian Library and Information Association. Cheryl S. McWatters joined the University of Ottawa as the inaugural holder of the Father Edgar Thivierge Chair in Business History in 2011. She previously held tenured appointments at the University of Alberta and McGill Universities. Cheryl received her doctorate at Queen’s University and is a Certified Professional Accountant (CPA, CMA). She has held administrative positions at the faculty level and has a rich university-level portfolio in academic and administrative service including extensive involvement in academic and program planning, strategic analysis and budgeting. Active in a variety of international research organisations, Cheryl is the first female editor of the UK journal, Accounting History Review, associate editor of Journal of Operations Management and of Accounting Perspectives and member of a number of editorial boards. Her research has led to long-standing international collaborations including visiting professorships in France, Australia and the United States. She is a member (personne qualifiée) of the Conseil d’Administration (board of directors) of the Réseau français des instituts d'études avancées (RFIEA). Her current research focuses on the embeddedness of accounting within a multi-faceted institutional and social context, in particular, investigations into seventeenth- and eighteenth-century global commerce and trading networks in which accounting acts as an integrative and facilitating mechanism across space and time. Her research publications have been recognised for excellence and innovation, garnering numerous research and best-paper awards. Cheryl teaches accounting and business history at the graduate and undergraduate levels. ​Lori Wallace, Ph.D., recently retired as a Professor in the Centre for the Advancement of Teaching and Learning at the University of Manitoba, and has been appointed a Senior Scholar. She served over 25 years in academic administration, most recently as Dean of Extended Education (UM), and has considerable domestic and international experience in curriculum design and distance program delivery. She has worked with the Canadian Virtual University consortium (CVU-UVC.ca) since its inception in 2000, including five years as President. In 2017, she received the Canadian Innovation in Education Leadership Award. She has served on numerous professional and community boards, and is currently on the Quality Assurance and Patient Care Committee of Seven Oaks General Hospital.